As you know, on Saturday October 24th, Jimmy Chin and Conrad Anker will be coming to Breckenridge, CO as part of The North Face Never Stop Exploring Speaker Series. Here at the shop we are getting excited to meet and chat with these extraordinary individuals. By attending the VIP party hosted here at The North Face Breckenridge at 322 S. Main Street you can get a unique chance to meet with Jimmy and Conrad. The VIP event starts at 5:30 pm and gives you an opportunity to chat, chill and shop if you want. By purchasing the $20 VIP pass, you not only get the chance to meet with Jimmy and Conrad, but we’ll give you $25 back on any $100 purchase here at the store. Thats 25% off on the latest and greatest NEW winter gear from The North Face. 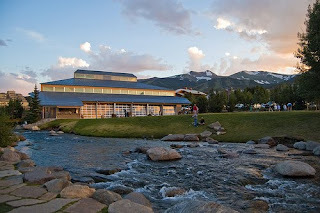 This entry was posted in Breckenridge, What to do in Breckenridge and tagged Speaker Series. Bookmark the permalink.